What is the JLB Beeson Community Fund? In 2001, the JLB received a generous gift from philanthropist Lucille Stewart Beeson. She bequeathed “The Charity Fund of the Junior League of Birmingham 4.3% of the net income” from her residual trust. She requested that the JLB use the funds to expand its charitable reach enabling a greater impact in the Birmingham community. Annually since 2002, the JLB Beeson Community Fund has granted somewhere between $210,000 – $425,000 to non-profits whose missions align with ours, and whose work in the community will make a lasting change. What’s the difference between the JLB’s Community Research Process and the JLB’s Beeson Community Fund? JLB’s Community Research Process: The JLB is most widely known for our volunteer efforts. Our volunteers give over 55,000 hours of community service to the Birmingham non-profit community annually. Each year, organizations can request trained volunteers – along with funding – for specific projects through the JLB’s Community Research process. A group of 20 JLB members collectively decide which projects the JLB will support in the coming year. The JLB allocates upwards of 450 volunteers and $400,000 in funds into our community placements through this process. 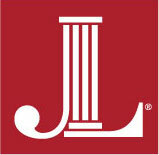 JLB’s Beeson Community Fund: This grant awards only funds with no volunteer component. The committee is separate from the JLB’s Community Research process. The Committee consists of 12 voting members, all are present and past JLB leaders – Actives and Sustainers – with a passion for and understanding of the Birmingham community. Who can apply for a JLB Beeson Community Fund Grant? The grant process is open to all 501(c)(3) organizations within Jefferson and Shelby Counties that further the mission of the JLB and our impact areas or promote systemic change within the community. What is the average size of a grant request? A grant request must be for at least $25,000, but the grant awarded may be for less than the requested amount. The JLB Beeson Community Fund receives grants ranging from single year, $25,000 requests to much larger, multi-year requests. In 2017-2018, $419,000 was awarded to 12 grantees from 68 applicants. There is nothing in the JLB Beeson Community Fund policies that prevents an organization from applying for more than one Beeson Community Fund grant. However, an organization has yet to receive multiple Beeson grants in one year. An organization may also apply for both a Community Research grant and a Beeson Community Fund grant. Can I re-apply for a grant I received in the past? There is nothing in the JLB Beeson Community Fund policies that prevents an organization from re-applying for a grant that they were awarded in a prior year. Multi-year grants will be entertained, but must be fully distributed within three (3) years of grant approval. If my organization receives a grant, when are funds available? Grantees will be notified by January 31, 2019, with 75% of the funds available for immediate disbursement. Following the receipt of documentation from the grantee evidencing expenditure of the allocated funds, the remaining twenty-five percent (25%) of the grant will be allocated. This process is typically completed in May. Do I submit a progress report of any kind? Yes. The JLB Beeson Community Fund requests a status report and/or site visit to be completed no later than May 15, 2019. A form for this report will be provided to agencies that have been selected. Agencies that do not submit a status report by May 15, 2019 or a final report within a year of grant distribution will risk forfeiture of remaining funds granted to their project.